The DARK Act is BACK: Defend your human right to know what you're eating! (NaturalNews) Unambiguous, clear and complete food labels are an ethical responsibility that rests on the shoulders of the manufacturer, retail seller and local administration. Acknowledging this duty is a crucial step because, when you're in charge of the food that people eat, you have a direct impact on their health. If we don't know what we're eating, we have no opportunity to protect ourselves. 92% of Americans agree. Obviously, that is the vast majority. As citizens become more aware of what genetically engineered food can do to their health and that of their children, major corporations like Monsanto are starting to lose their grip on a market that was once sold on these laboratory-developed products. Last year, the Dark Act sought to ensure that nobody would know which items are GMO and which are organic. It wasn't approved by Congress then, but now it's back. In the summer of 2015, House Resolution 1599, accurately dubbed the "Deny Americans the Right to Know" or DARK Act, passed through the House of Representatives. The DARK Act stipulated that no local government or state should be allowed to enforce any sort of GMO food labeling legislation. 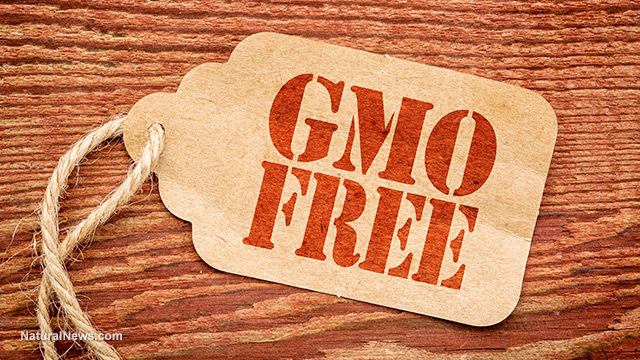 At the same time, manufacturers would be restricted from making non-GMO claims on their products. Not knowing what is what, we would have been completely in the dark. Luckily, the ironically titled "Safe and Accurate Food Labeling Act" was rejected in an omnibus spending bill last winter. For once, congressional leaders did what was right for the people and overruled a law that would have given food manufacturers leeway to use genetically engineered ingredients in any way they chose to increase their profits. Not even two months after it was banned, Senator Pat Roberts decided to introduce a very similar bill to the Dark Act. This time, the bill would only bar states from issuing their own mandatory labeling laws for the food items that contain genetically modified ingredients. Why? According to giant food corporations, labeling regulations are a "patchwork of laws" that discourage innovative technology, stunt economic growth and slow down food production. But things are quite different for consumers. These tags are the only thing protecting us from GM foods whose inserted or re-arranged genes can transfer into the DNA of the cells inside us. They also represent the single obstacle standing between healthy individuals and the pandemic of allergies caused by GMO crops. Wouldn't you want to know if what you're eating is about to increase your risk of developing cancer? Over 650 cooperatives, food and feed manufacturers, as well as other associated agribusinesses have expressed their official support of the bill. They collectively addressed a letter to the U.S. Senate whereby the latter was urged to pass this new version of the Dark Act as fast as possible, before state GMO labeling laws cost the "entire food value chain" – from consumers to manufacturers – more money. But it's highly unlikely that consumers want this bill to be passed, especially since they previously expressed in a majority of over 90 percent that they want GMO labels. It's also quite improbable that the people who are fully aware of the implications of GMO crops on their immune systems, liver and long-term health would agree to the terms of this bill. Neighboring organic harvests also suffer from the pollination of GMO plants. There's a worldwide food shortage that needs tending? The world isn't hungry because of GMO labeling, but rather because resources are continuously wasted. As many as 64 nations worldwide lawfully demand that food producers mention on labels whether an item has GM ingredients or not. America must join them. Should it be approved by the Senate this time around, the Dark Act may very well convince people to take matters into their own hands. It would show once and for all that their official representatives are unable to perform their duty and protect the citizens from this toxic threat. This should be a given, but since it's not, consumers want clear tags saying what's inside and what was used to obtain that particular product. We know it won't increase food prices, so just label it!